Pest monitoring Test for wireworms before planting susceptible crops, especially where fallow land is being returned to production. In the Midwest, bait stations are used widely to monitor for wireworms. An average of one wireworm per bait station might indicate the need for a preventive wireworm treatment. Ask your Extension agent for more information on bait stations. 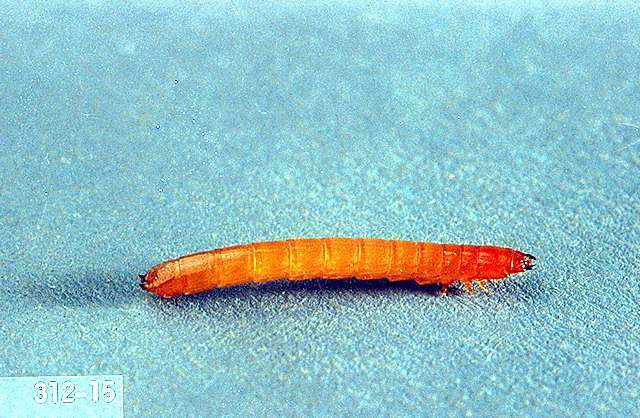 A pheromone is available for the Pacific Coast wireworm. In fields known to contain wireworm larvae, fallowing during the summer with frequent tillage (springtooth or disk) can help. Seriously damaged stands of seedlings may need to be replanted. Use crop rotations to nonhost plants. 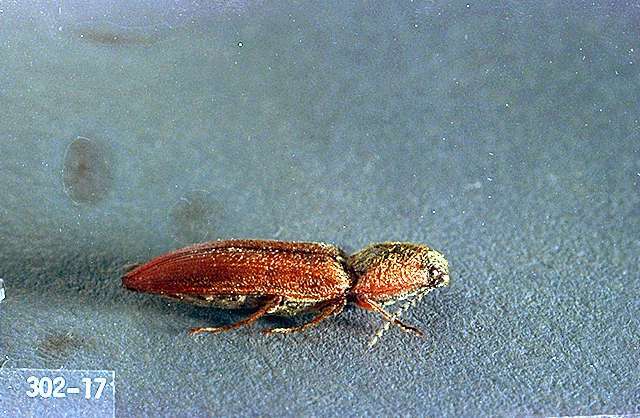 Do not plant a susceptible host crop following a crop that has had a heavy infestation of wireworm without fallowing/tilling or applying a pesticide. Flooding a field for several weeks may reduce wireworm populations. chlorpyrifos (Lorsban 50WSP) at 8 to 12 fl oz/cwt as slurry treatment. imidacloprid (Gaucho 480F)-Seed treatment. See label for instructions. thiamethoxam (Cruiser 5 FS) seed treatment at 1.28 fl oz per 100 lb of seed. Refer to label for complete instructions.